Jason Boche is a VMware Virtualization Product Specialist/Technical Marketing Consultant at Dell Compellent as well as an independent VMware vEvangelist in his spare time. Jason works with customers, partners, and colleagues on Dell Compellent solutions, reference architectures, design, implementation, and best practices. He has worked with medium to large scale enterprise environments for over 15 years with recent focus on VMware virtualization and storage. Technical certifications include VCDX #34 on VI3, vSphere 4, and vSphere 5, VCAP5-DCA, VCAP5-DCD, VCAP4-DCA, VCAP4-DCD, VCP5, VCP4, VCP3, VCP2, VCA-DCV/Cloud/WM, MCSEx3, MCSAx2, and CCAx2. 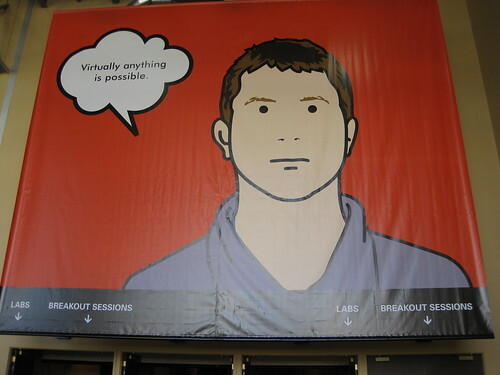 He is the author of a top-10 VMware blog, the vCalendar, and Technical Editor on book projects. Jason was the Minneapolis VMware User Group leader for five years and has been eleven times recognized as a VMware vExpert. Interests include football, hockey, motocross, model railroading, flight simulation, and chess. Powered by WordPress, VMware vSphere 6.7, Windows Server 2016, IIS, PHP, MySQL, Dell EMC, and FreeNAS. I have build a home VMware server and you might be interested in the details. We run a simple Virtualization blog at Algiz and have just published an infographic blending the Application Virtualization Smackdown with The Matrix movie. If you like it we’d be over the moon if you would share it with your followers.